The first major party of season 2019 is already brimming with talent. Amnesia is the first of Ibiza's super-clubs to throw open its doors this summer. Starting things nice and early, the San Rafael venue's curtain-raiser takes place on Saturday 11 May. Tantalisingly, a mere 52 days away. If, like us, you are suffering from severe withdrawal symptoms, then the drought is nearly over. Another epic season is on the horizon – starting here. Although the line-up for the Opening Party has only been partially disclosed up to this point, the identity of both rooms is coming into focus. Already packing a punch, let's take a closer look at the heavyweight names confirmed so far. Top of the bill has again been handed to Luciano. The Swiss-Chilean maestro has been called upon numerous times to headline both opening and closing parties at Amnesia. After over-coming health problems, we can honestly say that the Ibiza favourite is back to his very best. Few will forget his closing set at the 2014 closing – a party that seemed to carry on and on and… Nor will people forget his maverick headline slot at this event last year. It's fair to say that Luciano channels magic when he steers the Terrace dance floor. His form shows that he is more than adept to stepping up to the plate, with his whimsical take on house music. Similarly, the Martinez Brothers have had their fair share of moments on this iconic dance space. Whilst they might not have as many years active under their belt as Luciano, Chris & Stevie now sit firmly in Ibiza's A-league. Fond memories remain of their 2015 closing party set, as well as their sell-out appearances as Friday night guests the past few years. Their pedigree is thorough enough to match that of Luciano. Hector Couto is the third act confirmed for the Terrace thus far. A regular fixture at Amnesia, the DJ knows the dance floor as well as anybody. The Roush label boss rubs some Spanish flavour into proceedings on what is shaping-up to be an Opening Party for the ages. Moving next door, and the mood switches somewhat. As has become customary for these bookmark events, the inside Club Room will feature altogether tougher sounds. Head of the pack is Adam Beyer. Now a permanent resident on Ibiza himself, we saw him play all over the island in 2018. In his most active season to date, he might well be best remembered for his single stellar showing at Amnesia in early July. No stranger to the club room, Beyer has graced it many times for Cocoon, so will be in no doubts as to the task in hand. Dark, pummelling techno will naturally be on the menu. The Swede is joined by Drumcode compatriot Enrico Sangiuliano. The Italian native looking to build on his one date last summer. We hope this might be the start of more frequent appearances throughout 2019. Armed with only his laptop, Logic, a drum machine, a Model1 mixer and a whole bunch of stems, Matador will provide an exciting live element to the night. Exclusively performing his own music and remixes in a unique format. 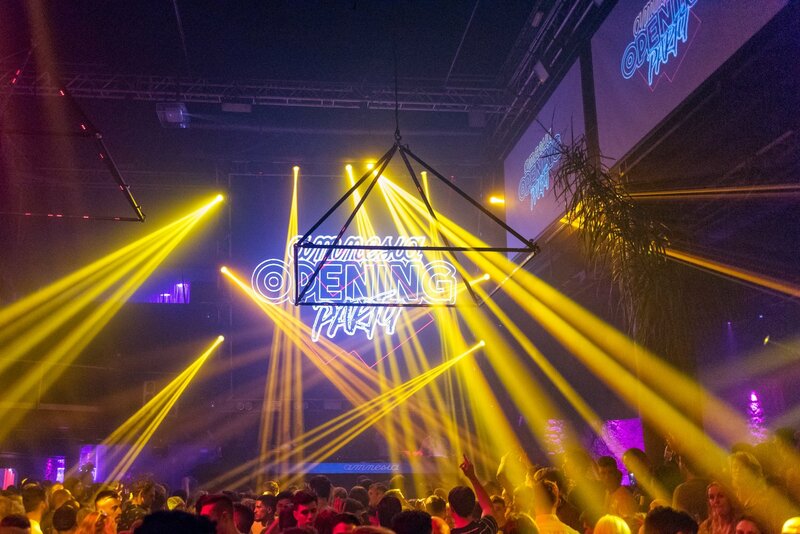 Despite a full Ibiza schedule last year, Amnesia was one venue Matador didn't have a date for. Eager to make-up for lost time, the Rukus boss is sure to relish the opportunity to play here once again. Expect a dazzling performance. If you've yet to see him play, trust us that you'll be in for a treat. Amnesia always delivers an opening worth getting excited about and this is arguably its biggest one yet. Pinch yourself if you don't believe it, but there are still more names waiting to be added to the bill. Frankly, we'd settle for things as they stand, but Amnesia is never a venue to do things by half measures. It's worth noting that doors open at 20:00 and the action goes all the way until 06:00. Ten hours of clubbing = ??? number of artists. With flight and hotel bargains easy to pick-up at this time of year, an early-season excursion to the White Isle is a no-brainer. To join Luciano, Adam Beyer, the Martinez Brothers and more at Amnesia's Opening Party, head below for tickets and further info.